To address a shortage of physicians in rural areas, the Wisconsin Academy for Rural Medicine has admitted this year’s contingent of 26 students. The program, known as WARM, is part of the MD curriculum at the UW–Madison School of Medicine and Public Health and is a nationally recognized initiative that prepares and supports students who intend to practice in rural Wisconsin and help improve the health of those communities. “The Wisconsin Academy for Rural Medicine is a prime example of how the School of Medicine and Public Health fulfills the mission of the Wisconsin Idea,” said Elizabeth Petty, MD, senior associate dean for academic affairs. Each year, the program admits 26 students. The 2018 class includes a large contingent of students from Wisconsin, but also is represented by two students from Illinois, one from Michigan and one from Minnesota. In the rural medicine program, students complete their first 18 months of medical school in Madison at the School of Medicine and Public Health. They will spend the remaining years of medical school at Aurora BayCare in Green Bay, Gundersen Health System in La Crosse and Marshfield Clinic in Marshfield, along with their networks of rural hospitals and clinics. Students also participate in regular core days at their sites to focus on a specific topic from a rural perspective and complete a community health project. Past project topics have included farm-to-table programs, concussion awareness for youth athletes, rural drug and alcohol abuse, health literacy and community disaster drills. Admission is limited to applicants who are legal residents of Wisconsin, Michigan, Minnesota, Illinois or Iowa. To date, more than 150 students have graduated from the program, and 89 percent of those graduating from residencies are practicing in Wisconsin. 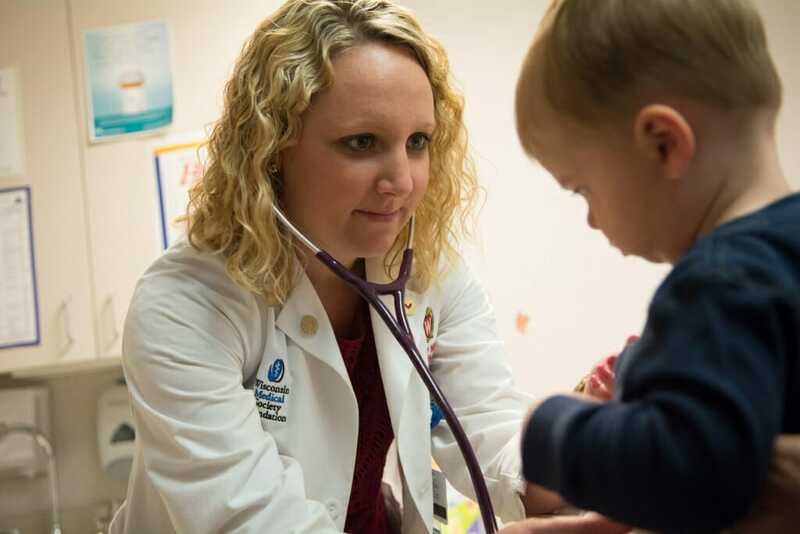 Thirty-five percent of graduates returned to their hometowns to practice medicine, according to Alison Klein, Wisconsin Academy for Rural Medicine outreach specialist.